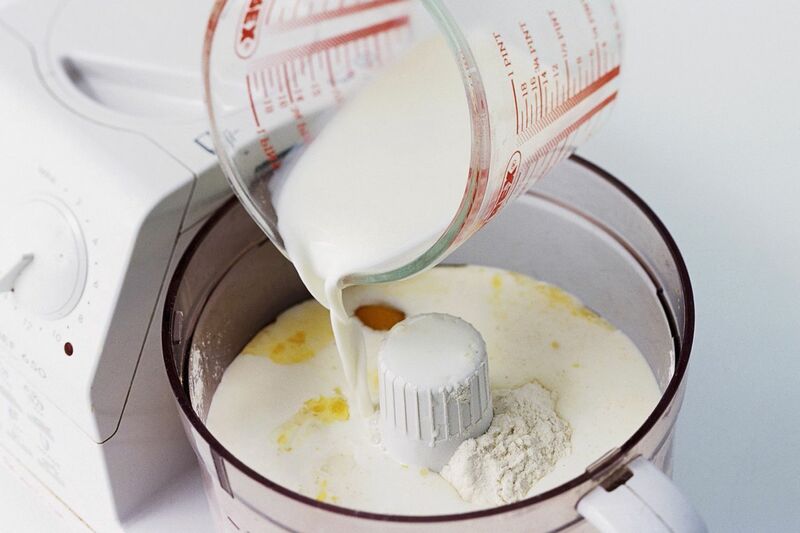 For the pancakes, whisk the milk, eggs, a large pinch of salt and the flour to a smooth batter. 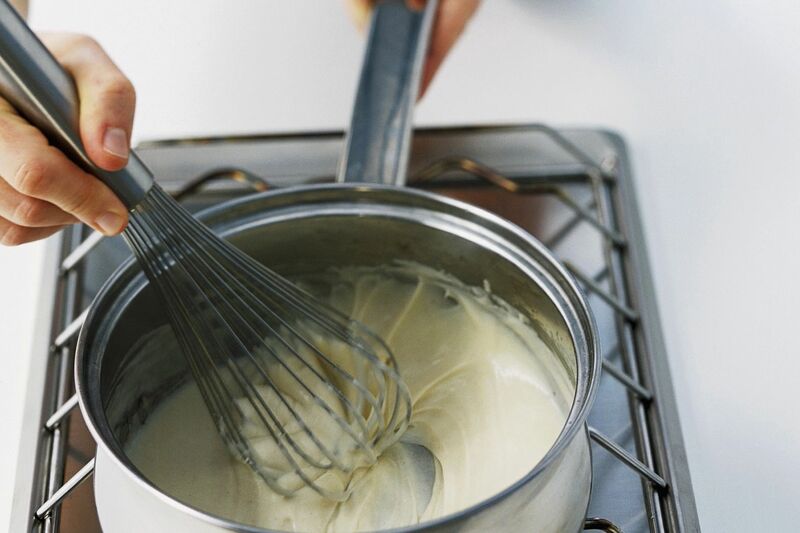 Leave to rest for 20 minutes and then whisk again. 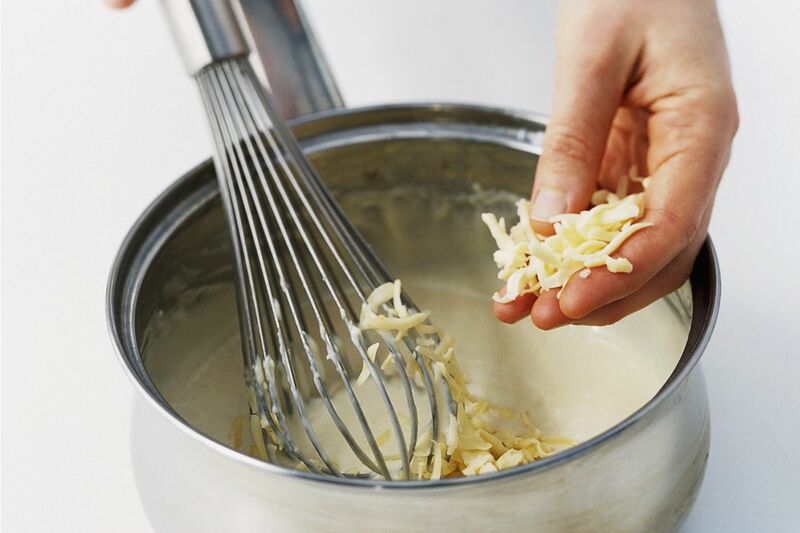 For the cheese cream, heat the butter in a pan and add the flour, stirring for 1 minute. Stir in the milk, bring to the boil, stirring all the time, and boil for a few minutes until thickened. Remove from the heat and stir in the cheese until melted. 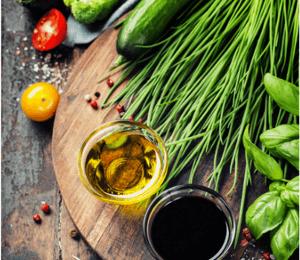 Season with salt and nutmeg. 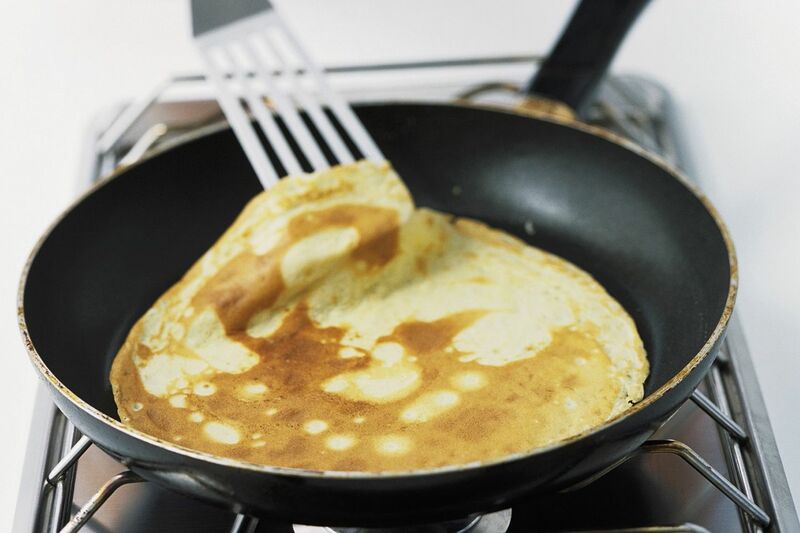 Heat a small knob of butter in a non-stick pan and use to cook 8 thin pancakes, cooking for 1-2 minutes each side until golden. Preheat the oven to 200°C (180°C fan, gas 6). 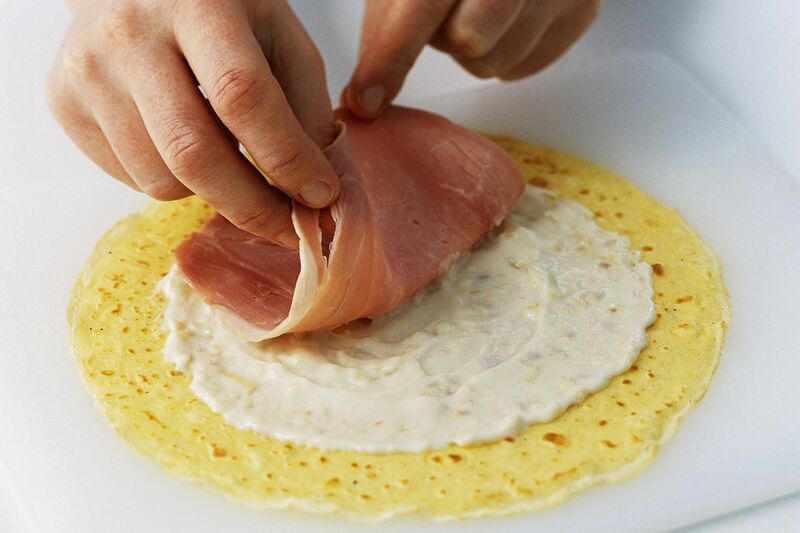 Place the pancakes on a work surface, spread thinly with the cheese sauce and cover with the ham. 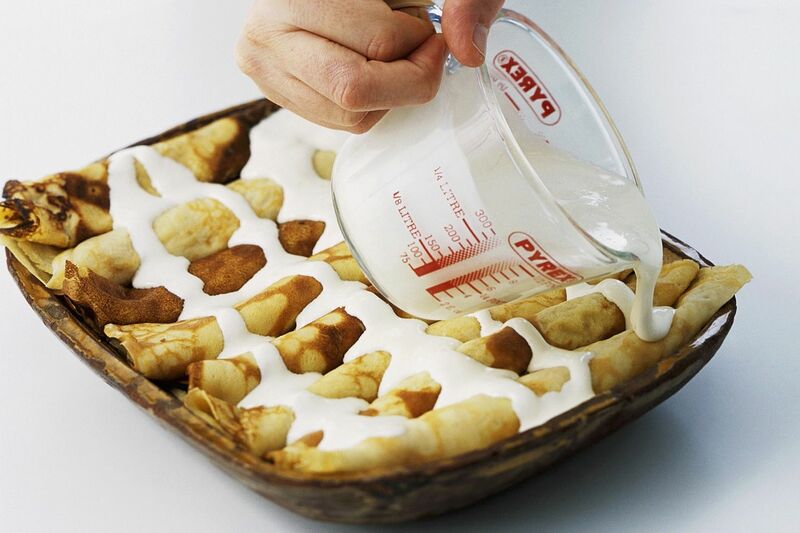 Roll up the pancakes and place, tightly packed in a baking dish. For the sauce, whisk together the cream and egg, add salt and pepper and pour over the rolls. Bake in the oven for about 30 minutes.